If you're a business professional who could benefit from a more thorough grasp of financial statements, this course is tailor-made for you. With this financial statement training, you'll quickly master the fundamentals and develop a comprehensive understanding of how they work, learn how to interpret them accurately and discover how to use their information to make more effective, better-informed business decisions that have a positive impact on your organization's bottom line. In today’s business climate, financial disorder is a serious factor in many organizations because of downsizing, outsourcing and contracting for services. It is critical business owners, managers and employees understand how to use available data to determine the financial health of their organizations, to assess the feasibility of their shortand long-term goals and to plot the direction in which their companies are growing. In this powerful one-day seminar, you'll take a guided tour through the complexities of the financial statement. In clear, easy-to-understand language, we'll explain how to read financial statements, interpret their data and put that information to positive use. 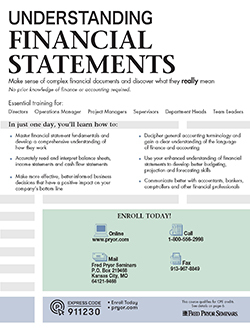 This course is designed to give business owners, managers and other non-financial professionals an arsenal of tools for understanding, analyzing and interpreting financial statements. As a result of this course, you'll have a better understanding of not only financial statements, but of how their information fits into the "big picture" at your organization. 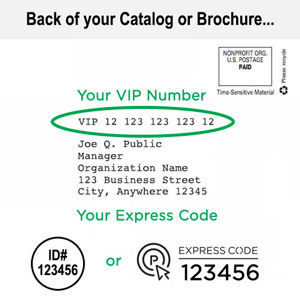 You'll be able to use the information gleaned from financial statements to plan ahead for your organization, ensure that cash flow is regulated and make timely, educated decisions regarding new product lines, equipment purchases, business expansion, increasing personnel, borrowing capital and much more. The purpose and general structure of the cash flow statement. Learning to distinguish between operating, investing and financing cash flows. What you need to know about public reports and audits.